B.C. 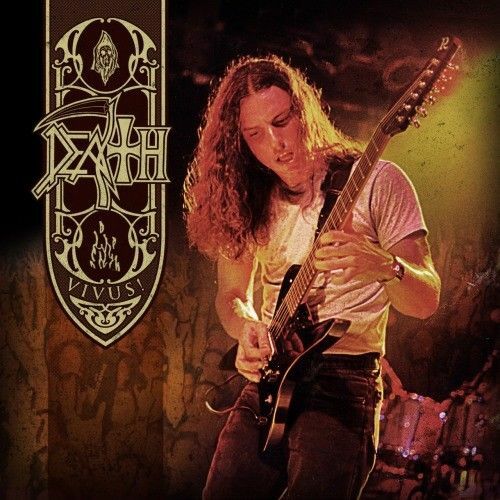 Rich Stealth guitar, used to be owned by Death’s founder and frontman Chuck Schuldiner, is currently posted for sale on eBay. The guitar is auctioned off by Schuldiner's nephew Chris, who has previously sold the musician’s leather jacket for $11,211 six months ago. "Up for grabs is One of Chuck Schuldiner’s personal stealths. This was mostly utilized as a backup when his primary black stealth was out of commission, hence why there are few pictures of him playing it. At some point in his life Chuck decided to strip the paint. I considered restoring it but decided to leave it just way the chuck left it. He was the last one to string this guitar and it hasn’t been touched since. It also comes with the hard case that Chuck toured with. Chuck Schuldiner was my Uncle and that is how I have possession of this, I provide personalized COA upon request. Good luck and happy bidding." According to Chris, one of the reasons for selling the instrument is "for the security of a close family member". At the moment the cost of the guitar is $8,000. You can bid it here. Death has made a significant impact on the development of the death metal genre, its vocalist, guitarist, and lyrics writer Chuck Schuldiner is considered one of the pioneers of the genre, while the band’s album "Scream Bloody Gore" (1987) — the standard of death metal. Chuck Schuldiner was the only permanent member of the band. Death broke up in 2001 after the death of Schuldiner, caused by brain cancer and pneumonia developed because of immunodeficiency.